New research on polyethylene of 2,5-furanedicarboxylate (PEF), a polymer derived from plant sugars, often referred to as PET (polyethylene terephthalate) substitute, has been highlighted on "ISIS Neutron and Muon Source" website. 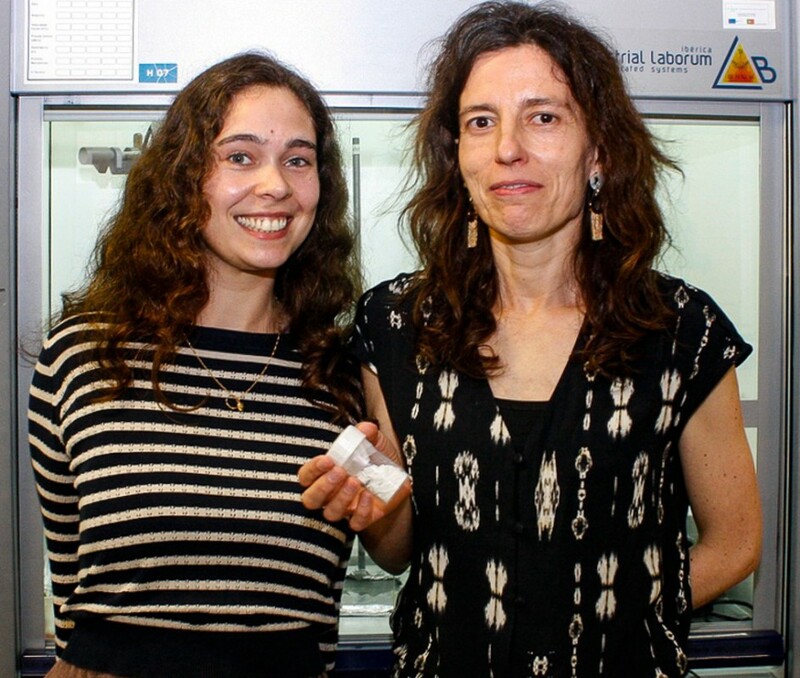 In addition, this work led by researchers Andreia Sousa and Catarina Araújo, was also published in the journal Macromolecules (DOI: 10.1021/acs.macromol.8b00192). The sustainable use of synthetic polymers is one of the major challenges of today's society. There are however some research developments that stand as possible solutions. On this context is the sugar derived polymer, polyethylene of 2,5-furanedicarboxylate (PEF), often referred to as PET (polyethylene terephthalate) substitute. The PEF has been a central figure in this line of research at CICECO. This team of researchers obtained access to TOSCA, an inelastic neutron scattering instrument available at ISIS, to ascertain the structural differences between the PEF and its PET analogue. ISIS is a research mega-structure with pulsed neutron and muon source in the United Kingdom. It is one of the world's leading research centers in physical and life sciences, which can be accessed by researchers around the world through a competition for neutron beam time allocation. The analysis made it possible to better explain the lower permeability of the PEF in relation to PET, for example, in respect to oxygen and carbon dioxide permeability, and therefore allowing future developments when applied as food packaging. These higher barrier properties of PEF are due, according to the study, to the greater rigidity of their polymer chains. This contribution allows to obtain a better understanding of the relationship between the structure of the polymer and its gas barrier properties, opening new frontiers to the design of "custom-made" green plastics.